I’m not really into the whole assassination thing, which may explain why I’ve never seen this 1964 AP photo (with or without the labels). Despite the connections to “that dark day,” I think this is a really interesting view of the city, from an unusual vantage point. 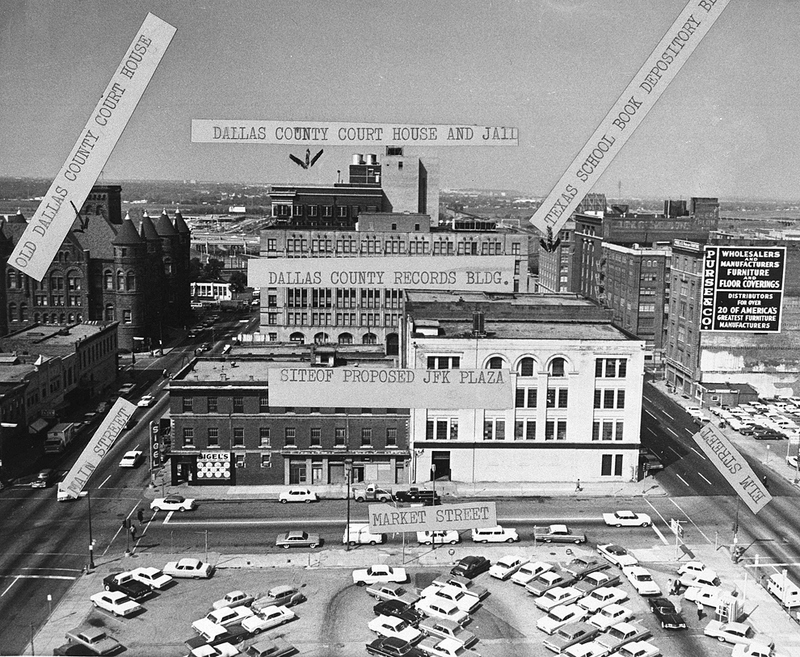 The original location for the memorial was in the block immediately to the east of the Records Building, not the Old Red Courthouse, where it eventually was placed. I’m not sure why the location changed, but by the time architect Philip Johnson, designer of the memorial, was on board, the site had moved one block south. Top photo by Ferd Kaufman for the AP, 1964.